Just in time for summer, we put together a Lemonade Stand Sensory Tub. 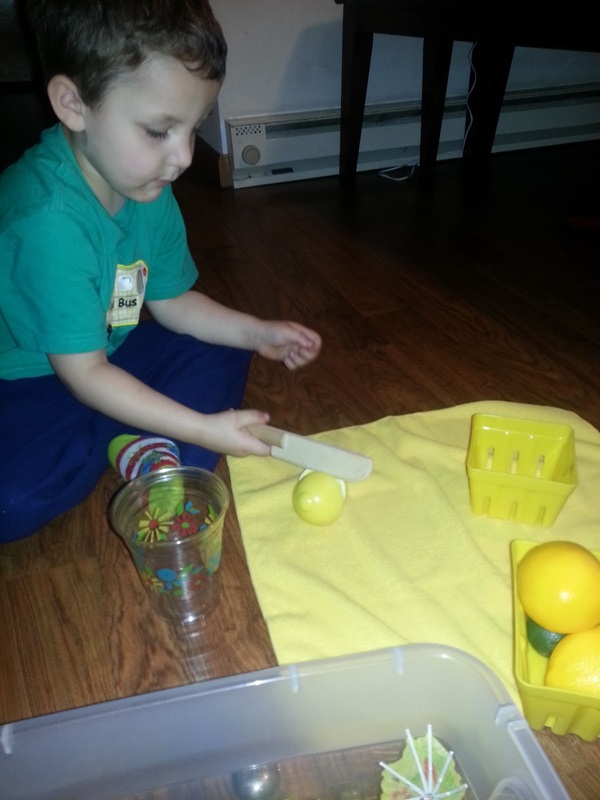 A sensory tub/tote is a tub or a bin that you fill up with various items to let your child play with and be hands-on. 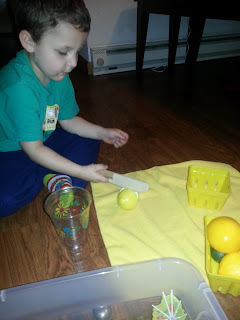 Sensory activities provide children with another meaningful avenue of learning. My son is really enjoying this one! 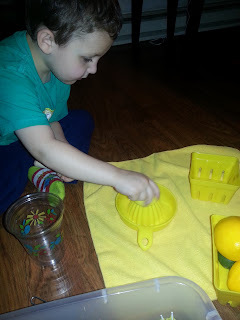 He even made me promise him that we would make real lemonade this week! 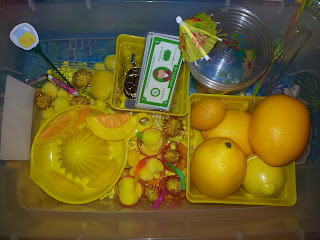 The tub contains a bunch of different lemons in a plastic produce basket, felt lemon wedges, clay lemon wedges, cups, yellow pom poms, yellow pony beads, tongs, straws, mini drink umbrellas, play money, lemon juicer, a lemonade mixer, play money, a yellow "table cloth" (I gave him a yellow microfiber towel that I picked up at the dollar store for him to use to cover his work space) and more! 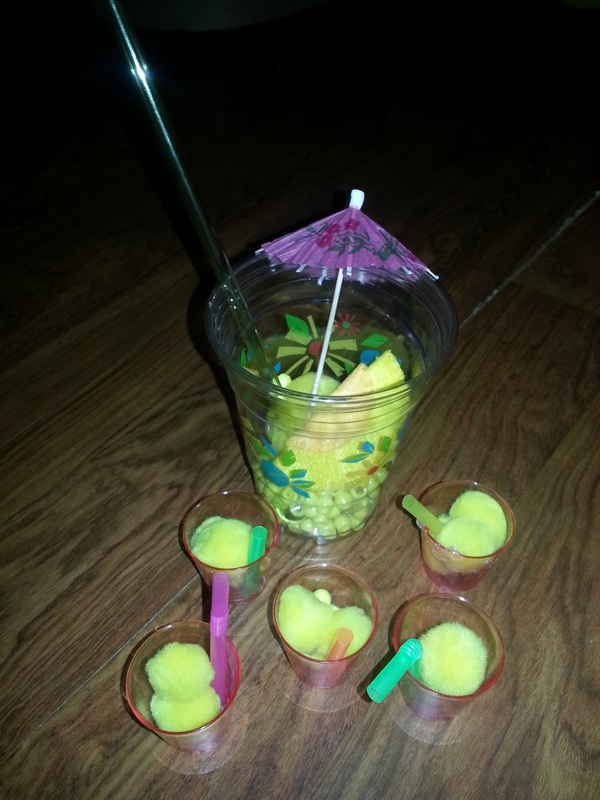 I must say, he serves up the best pretend lemonade that I ever had! Check out our recipe for real lemonade-- it is amazing! !